Targeting ads on Facebook: Illegal or smart marketing? Dozens of leading employers — including Amazon, Verizon, Goldman Sachs, Target and Facebook itself — placed recruitment ads on Facebook targeted to be seen only by particular age groups, an investigation by ProPublica and The New York Times has found. Some relevant numbers were not immediately evident. The promotion was set to run on the Facebook feeds of users 25-36 years old who lived in the nation’s capital, or had recently visited there, and had demonstrated an interest in finance. For a vast majority of the hundreds of millions of people who check Facebook every day, the ad did not exist. Several experts questioned whether the practice is in keeping with the federal Age Discrimination in Employment Act of 1967, which forbids bias against people 40 or older in hiring or employment. Many jurisdictions make it unlawful to “aid” or “abet” age discrimination, a provision that could apply to companies like Facebook that distribute job ads. “It’s blatantly unlawful,” said Debra Katz, a Washington, D.C., employment lawyer who represents victims of discrimination. Earlier this year, the social network launched a section of its site devoted to job ads. Facebook allows advertisers to select their audience, and then Facebook finds the chosen users with the extensive data it collects about its members. Other tech companies also offer employers opportunities to discriminate by age. ProPublica bought job ads on Google and LinkedIn that excluded audiences older than 40 — and the ads were instantly approved. Google said it does not prevent advertisers from displaying ads based on the user’s age. After being contacted by ProPublica, LinkedIn changed its system to prevent such targeting in employment ads. On Wednesday, a class-action complaint alleging age discrimination was filed in federal court in San Francisco on behalf of the Communications Workers of America and its members — as well as all Facebook users 40 or older who may have been denied the chance to learn about job openings. The plaintiffs’ lawyers said the complaint was based on ads for dozens of companies that they had discovered on Facebook. The database of Facebook ads collected by ProPublica shows how often and precisely employers recruit by age. In a search for “part-time package handlers,” United Parcel Service ran an ad aimed at people 18-24. State Farm pitched its hiring promotion to those 19-35. Some companies, including Target, State Farm and UPS, defended their targeting as a part of a broader recruitment strategy that reached candidates of all ages. The group of companies making this case included Facebook itself, which ran career ads on its own platform, many aimed at people 25-60. Several companies argued that targeted recruiting on Facebook was comparable to advertising opportunities in publications like the AARP magazine or Teen Vogue, which are aimed at particular age groups. But this obscures an important distinction. Anyone can buy Teen Vogue and see an ad. Online, however, people outside the targeted age groups can be excluded in ways they will never learn about. 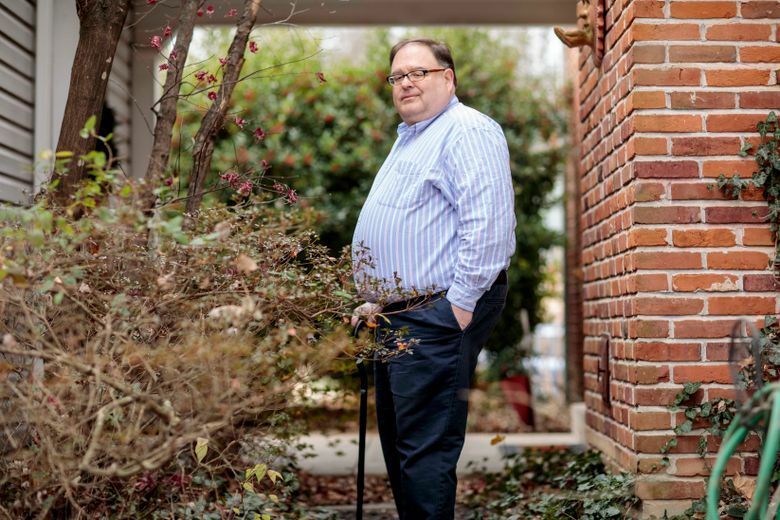 Mark Edelstein, a fitfully employed social-media marketing strategist who is 58 and legally blind, says he never had serious trouble finding a job until he turned 50. “Once you reach your 50s, you may as well be dead,” he said. Edelstein, who lives in St. Louis, spends most of his days scouring sites like LinkedIn and Indeed and pitching hiring managers with personalized appeals. When he scrolled through his Facebook ads on a Wednesday in December, he saw a variety of ads reflecting his interest in social-media marketing: ads for the marketing-software HubSpot (“15 free infographic templates!”) and TripIt, which he used to book a trip to visit his mother in Florida. What he did not see was a single ad for a job in his profession, including one identified by ProPublica that was being shown to younger users: a posting for a social-media director job at HubSpot. The company asked that the ad be shown to people ages 27-40 who live or were recently living in the United States. “Hypothetically, had I seen a job for a social-media director at HubSpot, even if it involved relocation, I ABSOLUTELY would have applied for it,” Edelstein said by email when told about the ad. Some companies contend that there are permissible reasons to filter audiences by age, as with an ad for entry-level analyst positions at Goldman Sachs that was distributed to people 18-64. A Goldman Sachs spokesman, Andrew Williams, said showing it to people above that age range would have wasted money: Roughly 25 percent of those who typically click on the firm’s untargeted ads are 65 or older, but people that age seldom apply for the analyst job. This article was written through collaboration between The New York Times and ProPublica, the independent, nonprofit investigative journalism organization. Julia Angwin and Ariana Tobin are reporters at ProPublica. Jeff Larson and Madeleine Varner of ProPublica contributed research.